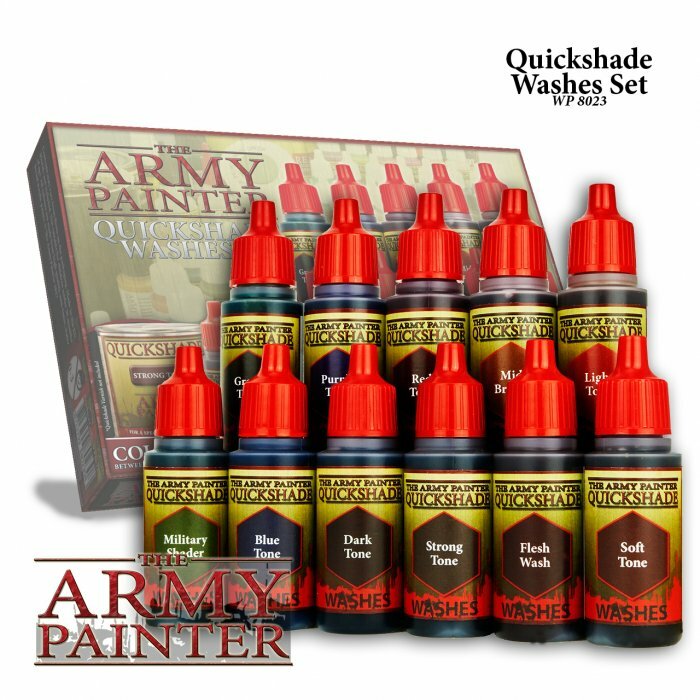 The complete Quickshade Ink range in one box. The colour toned inks are fabulous tools for adding colour and shading in one wash - and the original Quickshade Ink tones: SOFT, STRONG & DARK are easy to use and essential in adding depth to any miniature. The set has received the addition of the new FLESH WASH, only available in this set! A massive saving on the individual prices - buy them all in one go - and get the special formulated FLESH WASH exclusively!